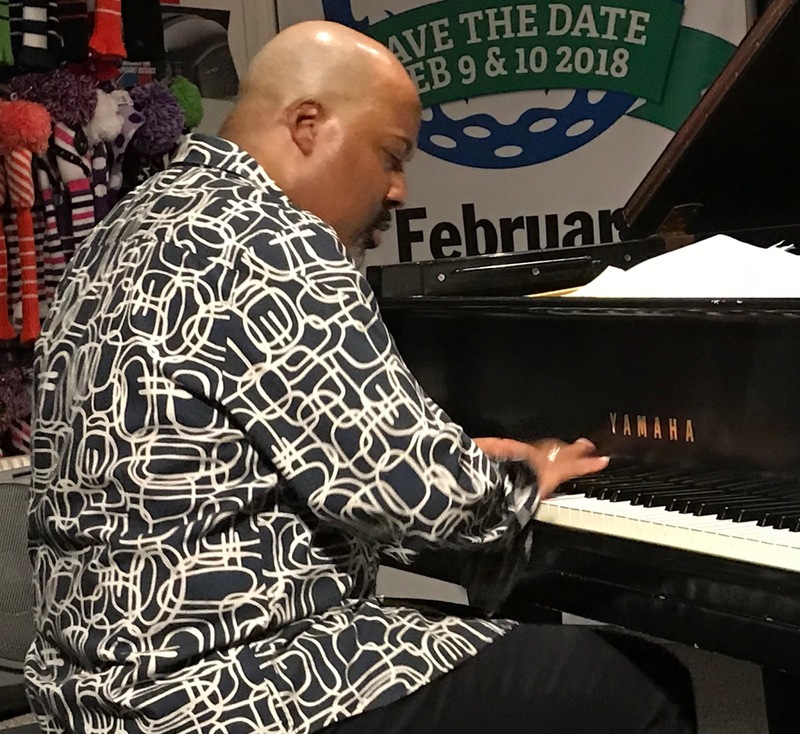 Pianist, Producer and Educator, Eric Reed brought his Quartet to Pete Carlson's Golf & Tennis Shop on Saturday, February 24 and impressed the Jazz-loving audience with his ability to play serious up-tempo Jazz tunes while at the same time show his skill at playing sensitive ballads. The Quartet started with a couple of up-tempo tunes and then Eric performed a piano solo of the Michel Legrand gem "Spring Can Really Hang You Up". Eric clearly demonstrated his ability to handle a sensitive, soft ballad along with straight-ahead tunes. I arrived early and observed Eric and his talented Quartet do their sound check and set up. Watching them check the proper sound levels and even the best position of the players spoke to their high professional standards. The Eric Reed Quartet included Saxophonist Ralph Moore whose style and tone brought back memories of John Coltrane. Mike Gurrola was on Bass and it was satisfying to see a young Bassist who performs with strength and a warm traditional Jazz style. Drummer Kevin Kanner is also young but brought the crowd to life with some of his remarkable solos. 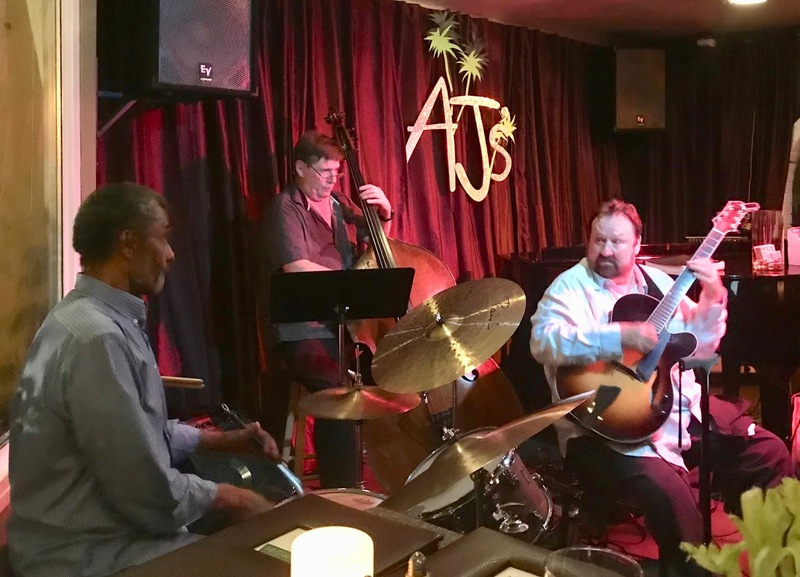 It was clear to anyone in the audience that these four Jazz professionals play at the highest level and also love what they are doing. Another all-around great Jazz night at Pete's. 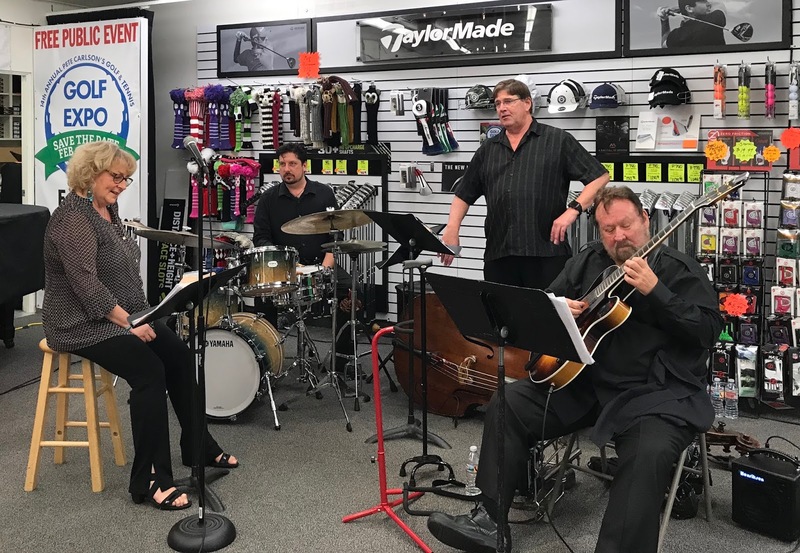 In case you have not been over to Pete Carlson's Golf and Tennis Shop for their "Jazz for Jazz Lovers" music series you are missing some of the best Jazz in the Valley! 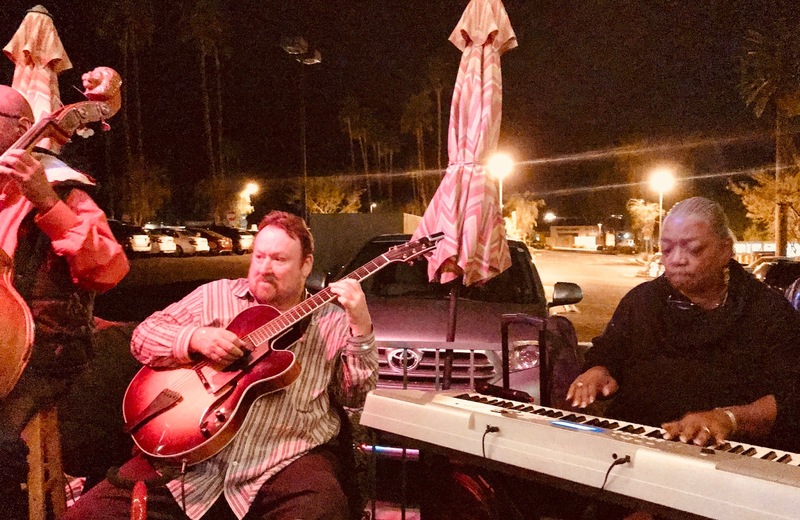 I also want to let everyone know that Pete Carlson's is the very best place in the Valley to hear live Jazz. The audience is quiet and appreciative of great players. The audience's focus is 100% on the music and the players! I could not find a "Youtube" of this particular Eric Reed Quartet playing but I did find a "YouTube" of Eric playing a NYC medley of "Autumn in New York, Skating in Central Park/ Central Park West" that is delightful music and showcases Eric's Piano talents. 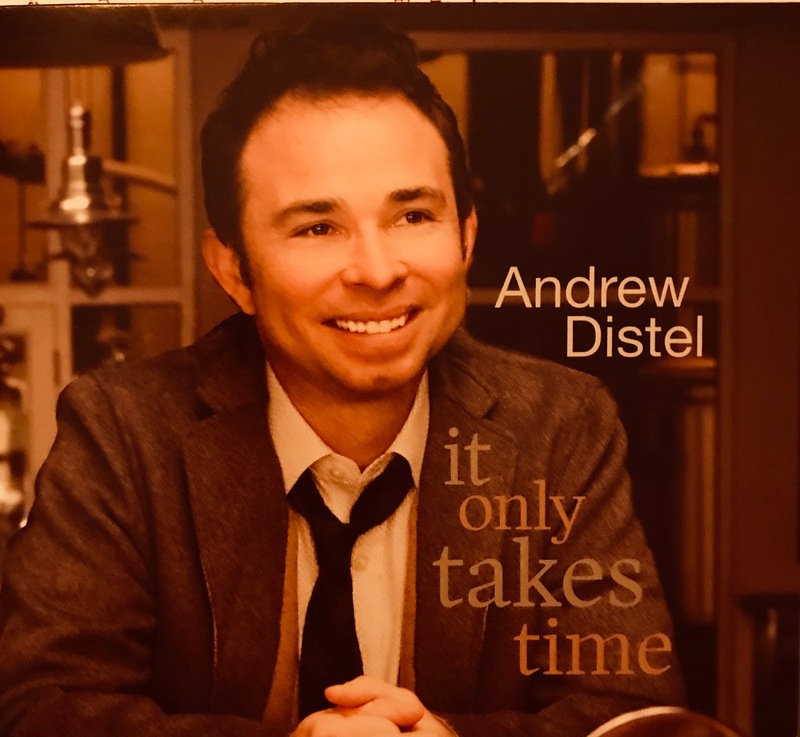 CD Review: Andrew Distel, "It Only Takes Time"
There does seem to be something of a tradition of trumpet players who are also singers. Now we can add Andrew Distel to this impressive list. In Distel's CD, "It Only Takes Time" he sings 11 beautiful songs including two that he composed, "Wait for Me" and "Your Last Song". Andrew Distel has a wonderful, smooth delivery and a rich, pure voice that reminds me of one of my favorite singers, Kenny Rankin. His voice and delivery also remind me of Chet Baker. Now if you are a young Jazz vocalist having these two Jazz Vocalists as heroes is perfect! Trumpet player, Composer and Arranger Andrew Distel is already a major part of the Chicago Jazz scene and as soon as you listen to the two "YouTube" cuts below you won't have to ask why. The first one is "Alfie" and the second one is a tune Andrew wrote "Your Last Song". True to the tradition of all Jazz Pros, Andrew has enlisted some outstanding musicians to join him on this CD. 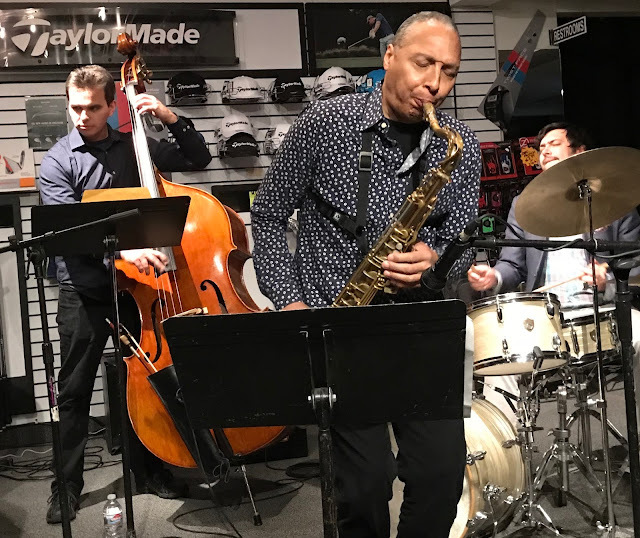 The impressive list includes Peter Martin who performed on and arranged Diane Reeve's Grammy winning CD, "Good Night and Good Luck" Carlos Enriquez is a regular in the Wynton Marsalis Septet and the Jazz at Lincoln Center Orchestra. "It Only Takes Time" is a winner CD that introduces Andrew Distel as Vocalist and Trumpet player who is surely headed for greatness. 7. "Too Soon To Tell"
8. "Smoke Gets In Your Eyes"
Local musicians in the Valley are finally receiving some well-deserved attention. The new, local 24 hour Jazz station in Palm Desert, KAJI 95.3FM and its General Manager Alan P. Schultz have decided to start playing music created by local musicians. Alan and I discussed the possibility of putting together a program on his station where local musicians would have their music played. The first of these special programs kicked off last Saturday. 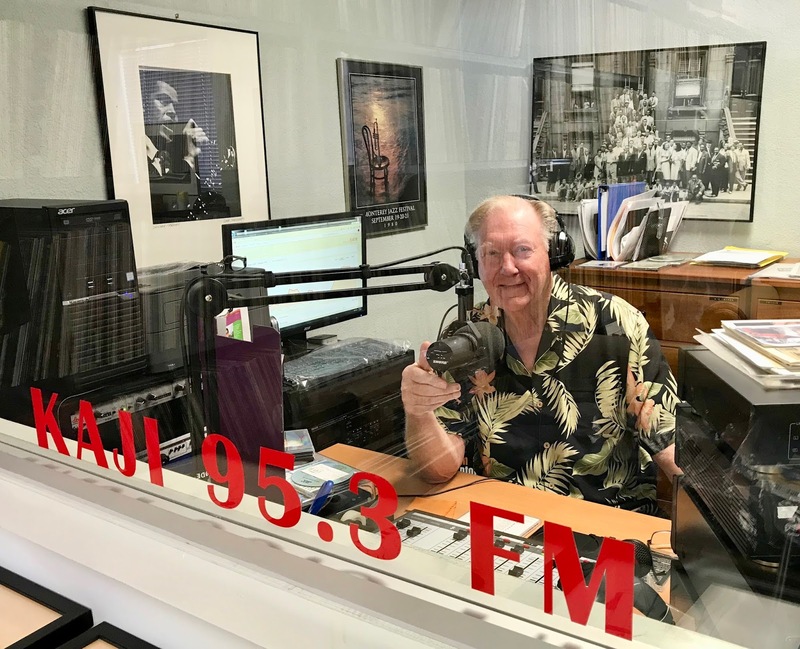 The first program was warmly received by musicians and Jazz lovers here in the Coachella Valley and as a result, Alan who also operates as the station's program director has decided to do another program this Saturday, February 17 at 10:00 AM PST. The best way to hear KAJI 95.3FM is to stream it on your computer. I have attached a link below that will take you to a site where you can turn the radio on. It would be great if you would mark your calendar to join the broadcast this Saturday. The music will be great, and you will be supporting all the musicians performing in our area. Michael Dees- "What Are You Doing The Rest of Your Life"
Rich Bono- "Here's That Rainy Day/My One and Only Love"
Yve Evans- "Just Friends/Guess Who I Saw Today"
Linda Peterson- "My Foolish Heart"
Mike Costley- "I Am A Singer"
Beverly Jensen- "Spring Can Really Hang You Up"
Pat Rizzo- "All the Way/Come Rain or Come Shine"
Patrick Tuzzolino- "Don't Be That Way"
Ron Kalina- "The Nearness of You"
February 17, Saturday morning, I am planning to play another group of outstanding musicians so please see if you can join us. All the cuts I have played and will be playing are from my personal library; all of which I have collected over the past 7 years ever since I started doing live reviews in the Valley. Real Jazz Is Alive In The Desert AT KAJI 95.3FM! My first visit to AJ's this year was great fun. Doug MacDonald led a super Jazz Trio consisting of Doug on Guitar, Larry Holloway on Bass and Tim Pleasant on Drums. Doug plays with lot of groups but this is the first time I saw him in action as the leader of the group. Turns out he is a natural, controlling all aspects of the performance while still allowing his supporting players to shine also! Doug started at 7:00 PM and the first hour was just straight-ahead Jazz and it was great! During the second hour or more, Doug called up any musicians in the audience who wanted to sit in for a couple of tunes. There must have been over 15 musicians in the audience who came up to play or sing and it was great fun. Classically trained pianist, Rich Bono was first to come up and play piano for some terrific vocalists. Rich is without a doubt the most sought-after pianist in the Desert by Vocalists. He knows how to provide just the right support for all types of music and voices and singers never miss a chance to sing with him. The parade of musicians continued well into the evening and Doug refused to stop until every musician who wanted to perform; had a chance. If you want to hear some of the best vocalists in the Valley, AJ's is the place to be on Wednesday evenings. AJ's has been totally renovated and the food continues to be excellent. My thanks to Doug MacDonald, Larry Holloway and Tim Pleasant for some of the best Jazz sounds I have heard. I also want to thank all the performers for providing a great night of music. I could not find a video of Doug's Group on "YouTube" but I did find a video of Doug playing "Picnic" with a trio consisting of Doug on Guitar, Yoshi Waki on Bass and Pete Zimmer on Drums. Doug is one of the finest Guitar players performing today! Pat Tuzzolino has been performing in LA and the Valley for many years. If you have not heard Pat sing and play Piano, Keyboard and Guitar, you are missing the chance to hear one of the most talented musicians performing today. 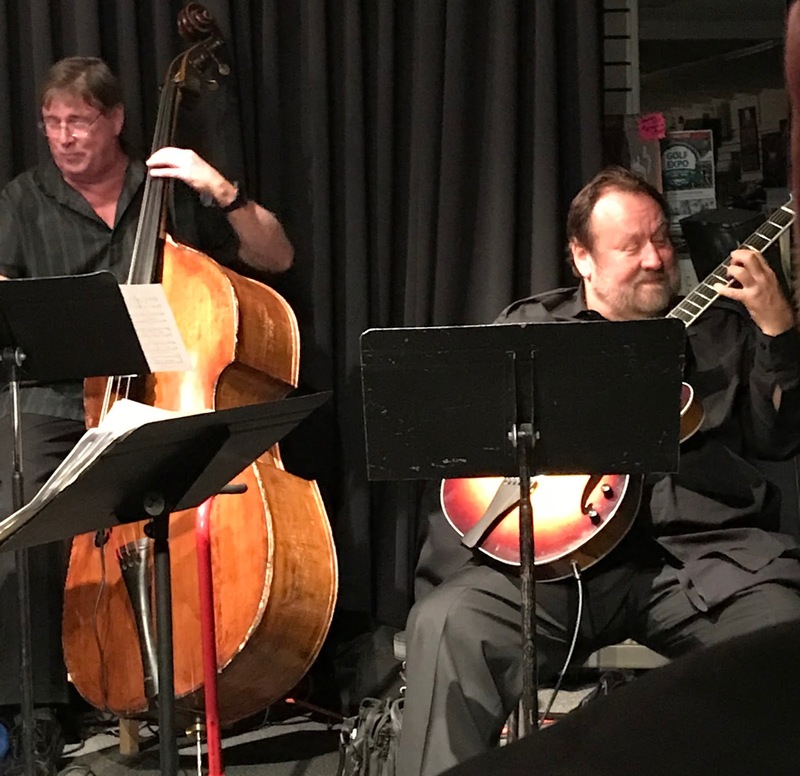 What makes Pat so special is his rich, powerful voice combined with his unusual and fresh arranging approach to Jazz standards that you will seldom hear today. His timing and phrasing on both Piano and Keyboard are spectacular. Don't expect an off-the-shelf tempo from Pat. No recorded tracks for Pat either, when you hear Pat perform he provides all the music necessary! When we go to hear Pat; we like to sit in the bar area where Pat hangs out behind the Piano. I have seen and heard hundreds of great musicians perform over the years, but Pat Tuzzolino is always new and refreshing every time I hear him and stands apart from the crowd! The good news is that Pat is playing 7 nights a week at Castelli's so you have plenty of opportunity to hear him. 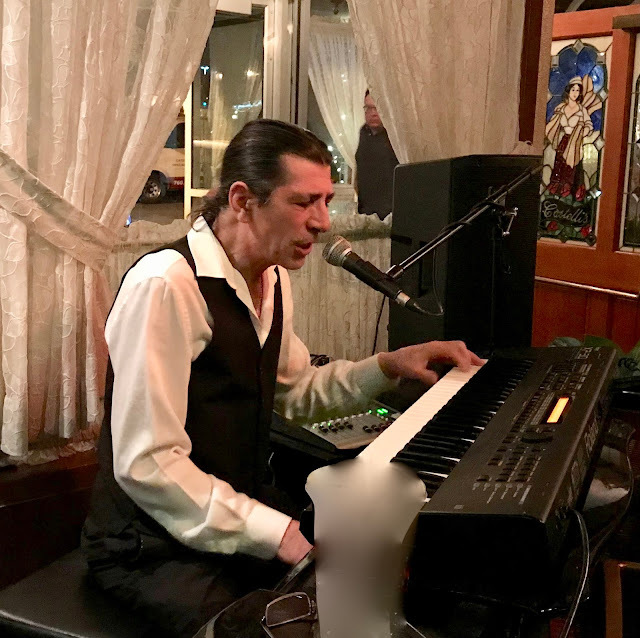 Castelli's has been a special place in the Desert for over 30 years and continues to provide the best in Italian food along with some of the best sounds in music from Pat Tuzzolino. The service at Castelli's is also top draw. Our waiters, Katie and Pablo were terrific! original arranging touch, "It's Girl Talk" like you never heard it sung or played before. It features Pat on Vocals and Keyboard, Sam Most on Flute and Gerruyck King on Drums. The Second "YouTube" cut is "Please Be Kind". It features Pat on Vocals and Keyboard, Carl Saunders on Trumpet, Bob McChesney on Trombone, Pat Zicari on Sax and Billy Paul on Drums. 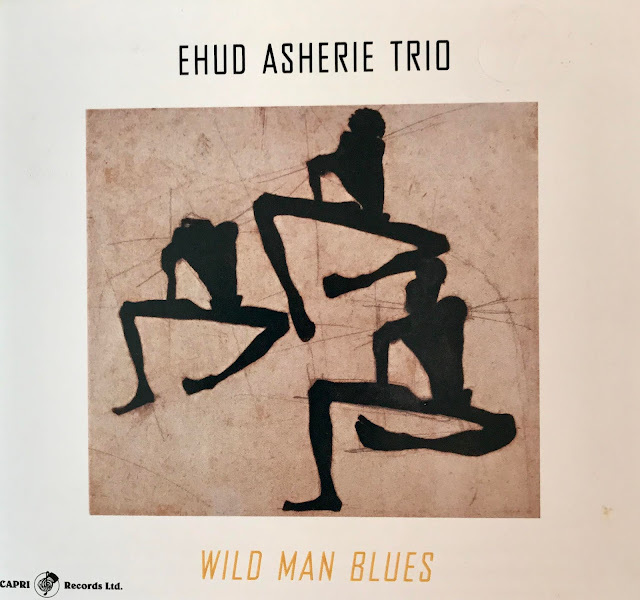 of Jazz lovers than Yve Evans! The reasons why Yve has tons of fans in the Coachella Valley is first and foremost, she is:"The Jazz singer who sets the standard for all other Jazz singers". Yve has a beautiful, pure voice that puts her in the same company as Ella and Sarah and her phrasing and sense of timing are second to none. Second, Yve can do it all: Blues, Pop, R & B and Latin without hesitation. She has the respect of every musician she plays with not only because of her platinum reputation, but because they all know that when Yve's driving the Band, she can and will make changes at a moments notice so they are always challenged to be ready and they love it! Third, Yve has an amazing sense of humor and works it into her performances seamlessly. And lastly, Yve has a loving, caring personality that she projects to everyone who meets her. Once you meet Yve, you will become a fan forever! Yve, as you would image, is a highly sought after musician and she plays at many venues in and out of California. As busy as she is, she never forgets her fans at Backstreet Bistro and tries to appear there at least one Tuesday every month. She also performs regularly at Woody's Palm House in Palm Springs, usually on Tuesdays. No trip to the Valley would be complete without seeing Yve perform at least once. 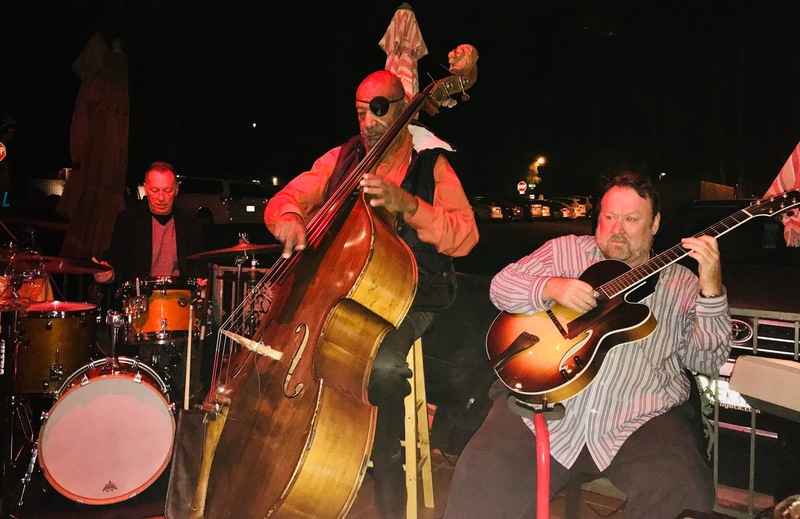 Tonight's program was put together by another Valley favorite, Drummer Jay Lewis, and he was joined by two of the best Musicians in the West, Guitar player Doug McDonald and Bass player, Henry "Skipper" Franklin. I found a "Youtube" of Yve playing and singing at the 2017 Monterey Jazz Bash by the Sea that will give you a good example of how good a performer she is. I know you will enjoy it! If you are a fan of Jazz vocals and were not at Pete Carlson's Jazz For Jazz Lovers Series last Friday January 26, you missed a spectacular performance by Jazz Vocalist, Greta Matassa. 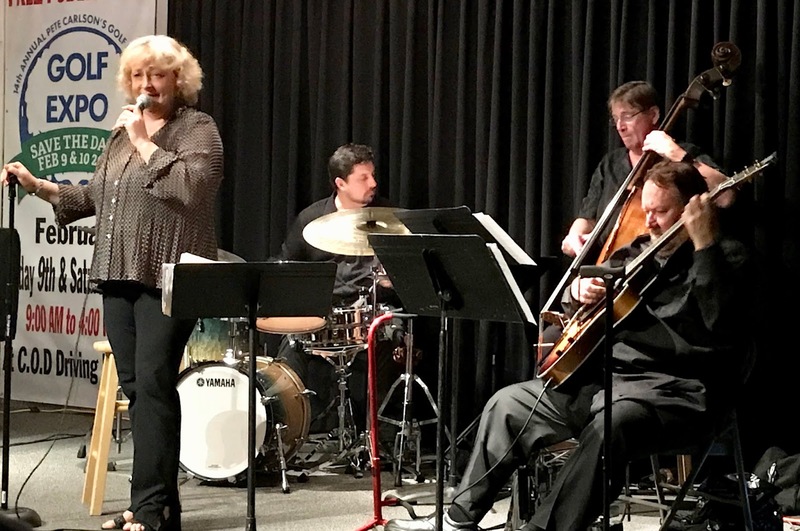 Greta has been voted best Jazz Vocalist in the Pacific North West four times and has recorded 10 highly successful CDs. Greta's influences include the best American vocalists, including Ella Fitzgerald, Billie Holiday, Fred Astaire, Frank Sinatra, and Anita O'Day. You can also hear the influences of Sarah Vaughn, Nancy Wilson, June Christy and Diane Schuur. It's one thing to have all these vocal giants as your musical heroes but then to perform using everything you have learned from these heroes is a talent that only a few musicians can accomplish. It is clear to everyone in the standing- room-audience tonight that Greta Matassa has more than proved she can join this illustrious group of vocalists. Greta's voice can move from sad to joyous, from delicate to strong and her phrasing is fresh and powerful! Greta also teaches in Jazz camps, festivals, master classes and give clinics and workshops for aspiring singers. Tonight's performance was a clinic for the audience of what Jazz Vocals are all about. Supporting Greta tonight was a group of three of the top musicians from the Coachella Valley area. Larry Holloway on Bass, Andy Fraga Jr on Drums and Doug McDonald on Guitar. Doug was called in at the last minute because the Guitar player that was scheduled, Bruce Forman came down with the flu. Doug's performance was outstanding especially considering he never performed with Greta before and he never had time to even review her charts. Doug is such a Pro, no one could even detect that Doug was not Greta's regular Guitar player! I found a "YouTube" of Greta Matassa singing "The Song Is You" that will give you a good sample of Greta's vocal skills. She is joined by musicians Darin Clendenin on Piano, Clipper Anderson on Bass and Steve Dornes on Drums.